Laureate Professor Jameson AO was last night named a Fellow of the Royal Society, a rare and distinguished honour decided by a peer-review process based on excellence in science. Each year up to 52 Fellows and up to 10 Foreign Members are elected from a group of around 700 candidates who are proposed by the existing Fellowship for having made a substantial contribution to the improvement of natural knowledge. University of Newcastle Vice-Chancellor, Professor Caroline McMillen, congratulated Laureate Professor Jameson on the international honour, stating it was a highly deserved acknowledgement of the global impact of his research. “Professor Jameson’s life work has achieved far-reaching effects across the globe in multiple industries, offering solutions to some of the world’s greatest challenges,” Professor McMillen said. “Not only does the Jameson Cell recover billions of dollars of fine coal and minerals each year, it has also been used for industrial and environmental applications, including extracting oil from tar sands in Canada, cleaning up industrial wastewaters in Newcastle and other Australian locations, and removing blue-green algae from Australian inland waterways. “The Royal Society’s recognition of Professor Jameson, represents recognition by the best minds in the world of the global impact of his remarkable research. Laureate Professor Jameson joins two other University of Newcastle researchers recognised by the Royal Society - Emeritus Professor Graham Goodwin and Laureate Professor Scott Sloan. The Royal Society, a self-governing Fellowship made up of the most eminent scientists, engineers and technologists from the UK and the Commonwealth, elects its Fellows and Foreign Members for life. The esteemed Fellowship includes around 80 Nobel Laureates. The Fellowship includes people of the calibre of cosmologist, the late Stephen Hawking, and a galaxy of renowned scientists such as Isaac Newton, Charles Darwin, Albert Einstein and Tim Burners-Lee - the inventor of the internet. There have been a number of Australian Fellows including Sir Gustav Nossel (physics), Sir Frank Macfarlane Burnett (immunologist), Sir John Eccles (physiologist), Sir Howard Florey (penicillin), and more recently Peter Doherty (influenza), Elizabeth Blackburn (telomeres), Ian Frazer (herpes vaccine) and Barry Marshall (stomach ulcers). Laureate Professor Jameson’s accomplishments are extensive. 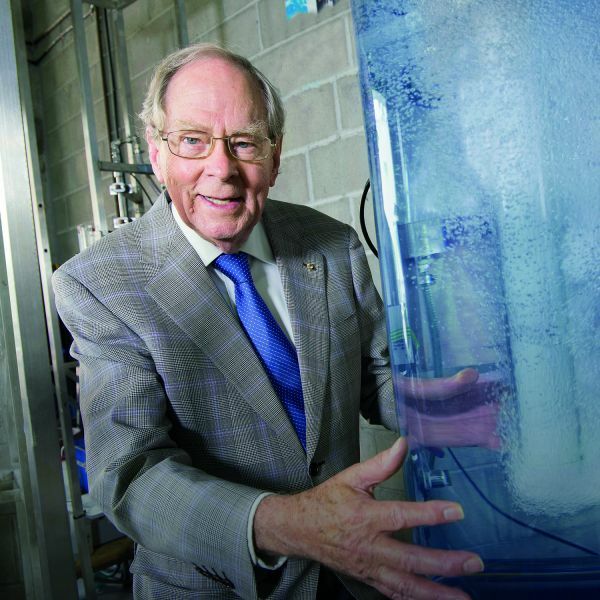 In 2014, he was admitted to the International Mining Technology Hall of Fame and was awarded the NSW Scientist of the Year at the 2013 NSW Science and Engineering Awards. In 2015, he was awarded the Prime Minister’s Science Prize for Innovation and elected to the US National Academy of Engineering (NAE), one of the highest professional distinctions offered to an engineer.